It’s getting to be that time of year – the frigid winds of winter are just a fleeting memory and the days are longer and warming up fast. What does that mean? It’s gardening season! 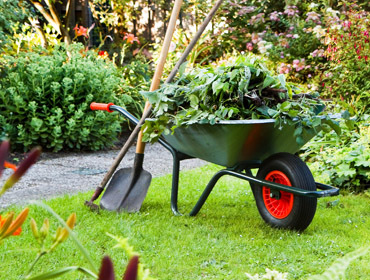 When it comes to preparing your garden and flowerbeds after a long, cold winter, there are a few major steps you need to take. In today’s blog, we’ve prepared a checklist for you to get your green thumb going and ready your garden for a bountiful harvest. Before you can plant anything, you’ll obviously need to take some time to clean out your garden bed. In addition to any debris you might have missed from last year, there will likely be leaves, twigs and sticks, and other rubbish that needs to go. Any organic material can be added to a compost pile or taken out in yard waste bags. If there is any non-biodegradable waste – plastic, metal, glass, etc. – you’ll want to get rid of that separately. After months of settling under the weight of rain, snow, and ice, your soil is likely drained of nutrients and highly compacted. You can infuse the old soil with nutrients by adding compost or manure – but it’s important to test it first to make sure you know what kinds of nutrients your soil is lacking. Adding garden fertilizer can also help revitalize your soil, and increase the health of your future plants. Hopefully your perennials survived the winter – and any plants that did will be among the first to come back into bloom. That said, once the chances of a late freeze are gone, it’s important to trim this vegetation back. Flowering plants especially should be pruned right after they bloom, to avoid inhibiting future growth. 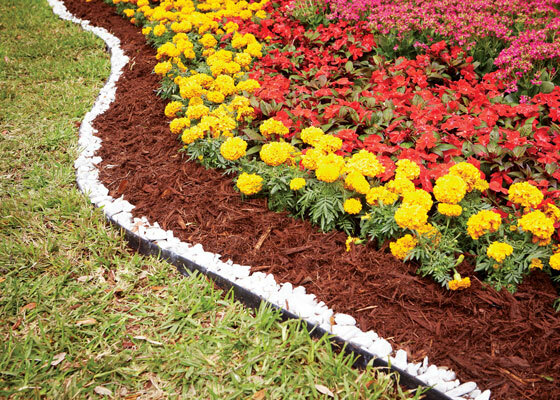 In addition to breathing new life into your soil, adding a layer of mulch can do wonders for the health of your flowerbeds. One to three inches of mulch can help prevent weeds and disease from affecting your plants, and will help maintain the moisture levels and temperature of your flowering plot. In general, try to keep a few inches of space between the mulch and plant stems, to avoid mulch rot. When it comes to planting a vegetable garden, you may have already started some seedlings in a greenhouse or indoor pots. If you’re starting from scratch, you have two options – you can either purchase seeds from just about anywhere, or you can get starter plants from a home improvement store or nursery. Either way, you’ll want to get them in the ground and tended to soon after prepping your garden area. For flowerbeds, you’ll want to consider planting some new perennials or shrubs to fill in the gaps between your surviving plants. Good springtime options include lilacs, tulips, and snapdragons. This entry was posted on Monday, May 15th, 2017	at 10:46 am	. Both comments and pings are currently closed. MHIC #70733 Licensed, Bonded and Insured We offer a limited lifetime Warranty on all our products.